Michel de Hey must be seen as one of the people who took responsibility for dance music and its direction in Rotterdam. 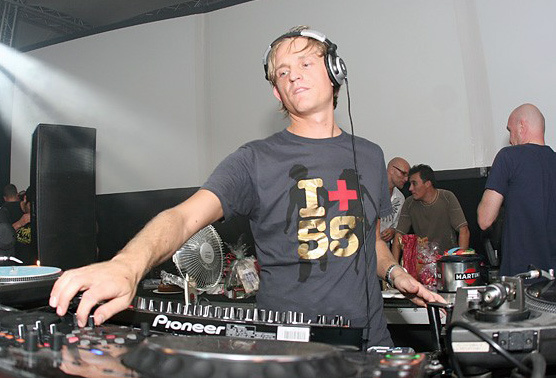 With his talent both as a producer and as a DJ, Michel opened the door to techno and tech house for a lot of people. Over the years Michel succeeded to get a solid reputation abroad through his excellent DJ performances at clubs, parties and festival events across the globe. His DJ career kicked of in 1986 and with his first recording release 'Break' he entered the Top 10 of the US Billboard Dance Charts. Since then, Michel de Hey developed his funky techno sound to what it is today. Many times Michel has been nominated for national dance awards such as the LSDA Awards, the TMF Nokia Awards and the Update Dance Awards. Over the years Michel de Hey has won the award for Best Techno DJ of the Netherlands for four times already! Since the beginning of 2003 he started to work together with the former Cosmack Management in London, now called Litheum Bookings. They are now responsible for all his dj activities outside the Benelux. Next to Michel they also take care of dj’s like Carl Cox, John Digweed, and Jimmy van M.
For his labels Michel has made several solo productions or releases in cooperation with Literon aka Gert-Jan Bijl, Secret cinema aka Grooveyard aka Jeroen Verheij and Mirko van Dommelen. Apart from his own labels Michel has also made music for Circle Records, Lilith Records, Artform, Lupp and Plink Plonk. Since a few years Michel also has HEY! records. On this label he only releases his own productions. The label has been supported by a whole range of dj’s from John Digweed, to Josh Wink, to Tom Middleton, to Adam Beyer. Furthermore he has had artists like Funk D ‘Void, Paul Klakbrenner, Polder, Mr G remixing tracks from the HEY! catalogue.